Download either of the files below for your own copy of the current racing rules. Paragraph III.H added with recommended Wind Limits. Paragraph III.G.1 modified to clarify jib halyard options and to allow use of rope for jib halyard. 1. To keep each boat as equal, simple and reasonably inexpensive as possible by maintaining its one-design features for class racing. 2. To encourage sailing skills alone to determine the race standings. B. Interpretation. The Executive Committee is responsible for interpreting these Racing Rules. 1. “Championship Regattas”. All Regional Championship Regattas, the Mutineer National Championship Regatta, and all other MCA-sanctioned regattas shall be considered “Championship” Regattas for the purpose of these rules. A regatta organizer may apply to the Executive Committee for MCA-sanctioned status for a local or regional non-championship regatta. 2. The term “team” shall denote the group of sailors sailing a single boat. 3. The term “helmsman” refers to the team member controlling the tiller. 4. The term “crew” refers to all other members of the team aside from the helmsman. 5. The term “Family Member” refers to the spouse, son or daughter of a Full Member, an Associate Member, or a Lifetime Member, provided the son or daughter is below the age of 21. 6. 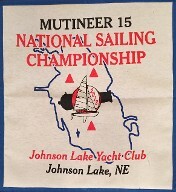 The term “Regatta Organizer” is the MCA member who has arranged for the Mutineer Class to participate in a regatta. 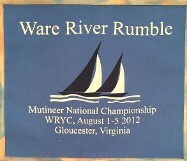 For the Mutineer National Championship (MNC) Regatta it is the current MCA Race Chairman. 1. Boats. 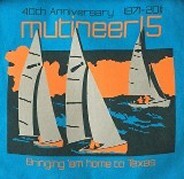 Several builders have built the Mutineer over the years. 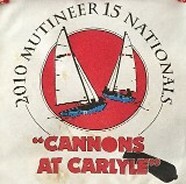 Chrysler Mutineer, TMI Mutineer, Starwind 15, Gloucester Mutineer, Cardinal Mutineer, and Nickels Mutineer sailboats shall be entitled to race in championship regattas. 2. Sailors. A sailing team may compete in Championship Regattas provided the registered Helmsman is a member of the MCA. B. MCA Rules Committee. An MCA Rules Committee shall be chosen prior to each championship regatta, comprised of four MCA officers (one being the Class Measurer, if available). One of these committee members shall be designated the Alternate. If four MCA officers are not present, the officers present shall choose other MCA members to sit on the rules committee. The MCA Rules Committee shall make rulings on issues concerning boat measurement, sail switching, crew changes, and any other issues relating to the MCA Racing Rules. The MCA Rules Committee has no responsibility for running the regatta, since that is the sole responsibility of the Race Committee (RC) and its Principal Race Officer (PRO). The MCA Rules Committee also has no responsibility for protests that are based on the ISAF Racing Rules, since that is the sole responsibility of the Protest Committee. C. Inspection: The Regatta Organizer shall decide if boats are to be inspected prior to the regatta and shall inform the class of inspection requirements a minimum of two weeks prior to the start of the regatta. Each boat and all of its equipment shall comply with these Racing Rules. A skipper has the right to protest to the Class Measurer if he/she believes a competitor’s boat does not comply with all of the Racing Rules. In this instance the Class Measurer shall bring the issue to the MCA Rules Committee for a vote. 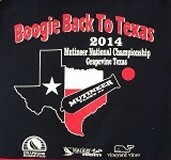 The Rules Committee has the right to declare ineligible any Mutineer that does not conform to these rules. Although objections should be voiced and rulings made prior to the first race, this shall not preclude objection being made during the regatta, if some infraction went unnoticed initially. D. Controlling Rules. Racing shall be in accordance with the current ISAF Racing Rules as adopted by US Sailing and the MCA Constitution and Racing Rules where they apply, in this order. The Regatta Organizer shall include in both the Notice of Race and the Sailing Instructions a full description of any racing rules that will be changed or will not apply for a regatta. See Rule 86 and Appendix J of the current ISAF rules for more details. E. Scoring: The Low Point Scoring System, Appendix A of the current ISAF Racing Rules, shall be used. 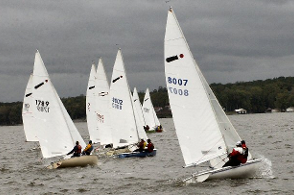 A minimum of three (3) races shall comprise a Championship Regatta. 1. A wearable, U.S. Coast Guard-approved Personal Flotation Device for each person in the boat. If not worn, they shall be within easy reach of the team members. They shall be worn throughout the regatta, if so directed by the Sailing Instructions. They shall be worn whenever signaled to do so by the Race Committee. 4. An effective anchor and a minimum of 100 feet of line of 3/16” or larger diameter. 5. A bailing device of at least two-quart capacity. 6. It is recommended that the rudder assembly be attached by a keeper or safety line so it will remain with the boat in the event of a capsize. Note, “spring” and “pivot” retainers often fail and can result in the loss of the rudder assembly. A retainer with a pin that is inserted in a hole drilled in the bottom of a pintle or a separate line that connects the rudderhead to the hull is more reliable. 1. The boat shall have adequate positive floatation to support boat and crew in the event of a capsize. 2. The MCA is concerned about fittings, hatch covers, inspection ports and any other features that can allow water to enter the area between the deck and hull parts of the boat (“between deck area”), either from water coming over the foredeck or gunwales or from a capsize. The MCA is on record as advising owners of potential serious problems of reduced buoyancy caused by excessive water in the between deck area, which may prevent a team from self-righting a boat after a capsize or may cause the boat to turtle. Hatch covers and inspection port covers shall be in place at the start of each race. Hatch covers may be opened to allow crew to retrieve and stow items during the race. The crew is encouraged to secure all hatch covers after retrieving or stowing items. The MCA discourages uncovered, through-deck openings. All large deck and cockpit openings shall have covers to prevent the ingress of water. 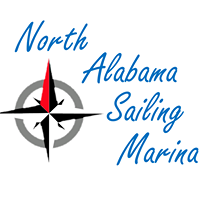 However, the MCA will not disqualify a boat for having small, uncovered through-deck openings or for having an open hatch cover after a race has begun. 3. The internal bow spinnaker launcher shall have a water-resistant sock securely attached to the spinnaker snout under the foredeck and to the entry point into the cockpit. The team shall consist of a helmsman and at least one crew, but no more than two crew. The same team (helmsman and crew) shall be used throughout a race or regatta. There shall be no additions, deletions, or changes to the team without approval by the MCA Rules Committee. There are no restrictions on helmsman and crew switching positions on the boat either during a race or for an entire race. In general the Rules Committee should not allow a team change, if the change will give the boat a competitive advantage. In the event that a team change is made prior to approval by the Rules Committee, then the Rules Committee shall review and vote on the application as soon as practical. If the Committee votes against the team change, all races sailed with the new team shall be scored DNS. 1. 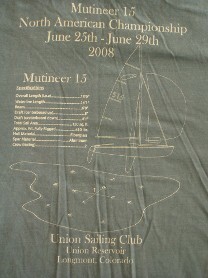 Anyone shall be allowed to manufacture Mutineer sails, provided the sails conform to the Mutineer Class Sail Measurements, Section IV, below. 2. Only two sets of sails per boat shall be measured in per regatta. 5. Telltales may be added as desired. 6. Sail switching is not permitted during a race or regatta unless permission to do so is granted by the MCA Rules Committee. The Committee shall allow sail switching only when a sail is damaged and it is either unusable or at risk of further failure that would render it unusable. The committee shall decide if the sail in question meets these criteria. In the event that a sail switch is made prior to review by the Committee the Committee shall review and vote on the application as soon as practical. If the Committee votes against the sail switch, all races sailed with the replacement sail shall be scored DNS. 8. A cunningham hole is allowed, together with the necessary adjustment controls. a. Two bands at least 1/2” wide of contrasting color shall be on the mast with the inner edges 20’ 6” apart. The inner edge of the lower band shall be 14 inches above the deck measured next to the mast. Only one set of bands is allowed on the mast. b. A band at least 1/2” wide of contrasting color on the boom is required at a distance of 8’ 2” from the after edge of the mast to the inner edge of the band when the boom is attached to the mast and fully extended at 90 degrees to it. c. The headboard, tack, and clew of the main sail may be adjusted only within the inside edge of the banded dimensions on the mast and boom. 1. Centerboards and rudder blades may be rubbed, sanded, painted, waxed, or polished. Polyester and epoxy resin with fillers may be used to fill in depressions, holes, gouges, and other deviations from the original blade shape. 2. Replacement Blades. Replacement blades may be purchased from the current licensed-Mutineer builder or an after-market parts manufacturer. A used blade produced by any former licensed-Mutineer builder may be used as a replacement blade. Homemade blades are permitted as long as they are made only of wood, foam, fiberglass, polyester or epoxy resin, resin fillers or any combination of these materials and the size and shape are consistent with the original blade. 3. Jibing Centerboard. A jibing centerboard is one that can be rotated to the left or right from the centerline of the boat when viewed from above the CB trunk when the CB is in the full-down position. Modifications to the CB and/or the CB well that allow such rotation are prohibited. Also, any procedure to physically rotate the CB such as by jamming temporary, movable shims between the CB and the trunk is prohibited. Permanent shimming of the CB to reduce play between the CB and trunk is allowed since this reduces the potential for rotation. 4. The centerboard shall be attached to the hull with a set of fittings that allow it to pivot up and down within the CB trunk. These fittings shall be fixed to prevent the pivot point location from being moved forward or aft while sailing. 1. Installation of a boom vang. 2. Replacement or addition of hardware and lines on all control systems. 3. Side shrouds may be replaced, lengthened or shortened, but shall be consistent with rule III.G.1 for wire diameter, construction, and material. Quick release pins may be substituted for the standard clevis pin and ring. Shrouds may be attached using standard adjusters or turnbuckles. The use of “Hyfield” lever type connectors or “magic boxes” for attaching the side shrouds is prohibited. Adjustment of standard adjusters or turnbuckles on side shrouds during a race is not allowed, however, adjustments may be made between races. Adjustment of rig tension by the forestay tensioning device is allowed at any time. 4. Hiking straps. These may not have their attachment points at a point higher than the top of the horizontal portion of the seats. No hiking aids other than hiking straps are permitted. 7. Any means of shutting off the opening in the bulkhead under the mast. 8. A spray deflector located on the foredeck. 9. A maximum of two suction bailers located in the cockpit floor. 10. Stiffening of the centerboard trunk, either internally or externally, and addition of a horizontal cap or a seat. 11. Spinnaker launcher tube of optional design, but mouth must be in front of the jib tack. 12. The jib tack may be attached to a fitting on the foredeck or to a wire rope run through the foredeck and attached to the hull below the deck. 13. 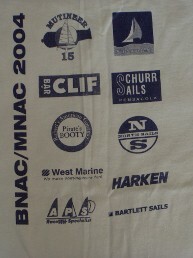 Spinnaker sheet blocks, guy hooks, twings, and cleats in optional positions. The maximum spinnaker pole length is 6’ 8” from the inside edge of the outer leg of one pole end fitting to the inside edge of the outer leg of the other pole end fitting. See the Spinnaker Pole Drawing at the end of this file. 14. The mast-mounted spinnaker pole bale shall not extend more than 2 ½” from the front of the mast. 15. Jib tracks and jib haulers (AKA “barber haulers”) in optional positions. 17. Hulls may be rubbed, sanded, faired, painted, waxed, or polished in the normal process of maintenance. Hull sanding and fairing will be closely scrutinized with particular regard to Rule III.G.7. Polyester and epoxy resin with fillers may be used to fill in depressions, holes, gouges, and other deviations from the original blade shape. 18. The mainsheet blocks may be repositioned on the boom to give a more vertical lead to the mainsheet blocks located on the top of the centerboard trunk. 19. A compass mounted as desired. 20. A masthead wind indicator. 21. Spinnaker pole uphaul/downhaul of optional design. 22. A fixed-length or adjustable jib whisker pole of any length may be used on boats not carrying a spinnaker. The use of such pole is limited to setting on the side opposite the main boom. 24. A separate “safety” forestay may be added forward of the jib luff. There are no restrictions on material and design. However, the “safety” forestay shall not be used for tensioning the rig. It shall remain slightly slack with the rig tensioned by the forestay/jib halyard. 25. All halyards may be lead internally subject to the limitations of III.G.2. 26. Rig tensioning of the forestay may be by Hyfield lever, turnbuckle, Magic Box, or a multi-block system. 27. The distance from the deck next to the mast to the upper edge of the sheave of the spinnaker halyard block shall not exceed 192 inches. See the Mast & Boom Drawing at the end of this file. 28. Hand holds may be installed in the stern area, on the deck, or in the cockpit, no further forward than 3 feet from the top of the transom, to assist the crew when boarding the boat from the water. 1. Standing rigging alterations. The standing rigging consists of the two side shrouds and the forestay/jib halyard. The side shrouds shall be 1/8” diameter stainless steel cable of 1 x 19 construction. a. Original Chrysler Tube-on-Tube design. A single 1/8” diameter stainless steel cable of 7 x 19 construction acts as a combined forestay/jib halyard. b. Wire Luff design. A 1/8” diameter stainless steel cable of either 1 x 19 or 7 x 19 construction is contained within the jib luff and acts as the forestay. A separate jib halyard is attached to upper end of the jib luff wire or upper swivel of a furling system. The jib halyard may be either a 1/8” stainless steel cable of 7 x 19 construction or a high-tech double braided rope with a minimum tensile strength of 2500 lbs. If the jib halyard is internal to the mast, it must be possible to inspect the entire length of the rope. A rope jib halyard may be attached to the upper end of the jib luff wire or to the swivel with a bowline. c. Hank-on jib design. A single 1/8” diameter stainless steel cable of either 1 x 19 or 7 x 19 construction acts as the forestay. The jib is attached to the forestay with hanks. A separate jib halyard is used to raise the sail. There are no restrictions on the size and material of the jib halyard. All stainless steel cable in the standing rigging (including the jib luff wire) shall terminate with a swaged stainless steel eye or fork, a Norseman fitting (or equivalent), a Nico-Press ball, or a loop with stainless steel thimble and Nico-Press sleeve. 2. Alteration of the Spars. Lightweight, bendy, or tapered masts are prohibited. Mast and boom shall be restricted to equipment supplied by a builder licensed under Article 12.B of the Constitution. Replacements shall be limited to original equipment spars from any of the licensed builders. (Licensed builders as of March 14, 2009 have used four different mast/boom manufacturers for the original equipment.). Spars may be altered only by sealing or adding flotation, by installing hardware for control lines, and by installing either a spinnaker pole bail or a track with a spinnaker pole bail car. 3. Travelers, track, rope, or any other device for moving the effective sheeting point of the mainsheet from the center of the top of the centerboard trunk, behind the opening for the centerboard. 5. Electronic devices such as navigational aids, wind indicators, steering devices, speedometers, and anemometers. Hand-held VHF radios, Walkie-talkie radios and cell phones may be carried on board, but shall not be used for sending or receiving except in an emergency. 6. Ballast worn by a helmsman or crew. This includes water retaining sweaters, sweatshirts, or similar apparel. 7. Altering of the basic shape of the hull from its original design. The class recommends that racing be postponed, if winds are steady over 20 mph or with frequent gusts over 25 mph. The PRO of the regatta has the final say on whether to race or postpone. The PRO may poll the sailors competing on whether to race in winds higher than these recommended limits. Factors to be considered include the ability of the sailors competing, the condition of the boats, the air & water temperatures, waves, the number of rescue boats available, and any other factor that could change the racing into a safety issue. Leech - 21’ 5”. The leech is measured from the back of the headboard when the headboard is perpendicular to the luff. If the head board is not perpendicular to the luff, use an imaginary point (4 3/4” maximum) from the back of the bolt rope perpendicular to the luff at the head. The mid-height girth is the distance between the points on the luff (not including the bolt rope) and the leech, found by folding the sail with the upper inner corner of the headboard to the tack (mid-luff) and then the outer upper corner of the headboard to the clew (mid-leech). The 3/4 height girth is the distance between points on the luff and the leech found by folding the sail similarly with the headboard at the mid-girth on the luff and leach. The 1/4 height girth is the distance between points on the luff and the leech found by folding the sail with the tack to the mid-girth on the luff and the clew to the mid-girth on the leech. 2. Battens shall be limited to four (4), not to exceed 42” top, 25” next down, 31” next down, and 25” bottom batten. Battens shall be evenly spaced along the leech with an allowance of plus or minus two (2) inches. 3. Headboard length is not to exceed: 4.5” measured at right angles to the luff. The measurement from the after edge of the luff rope to the aftermost point of the headboard shall not exceed 4 3/4”. 4. Viewing windows shall be allowed. Additionally, one or two small windows shall be allowed for telltale viewing. The shape is optional, but each telltale window shall fit within a 10” diameter circle. 5. 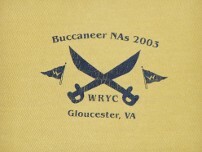 Sail numbers should be a minimum of ten-inch high (10”) high, of a contrasting color to the sail, and placed midway between the second and third battens from the top of the sail. 6. The optional, but recommended, class insignia should be located midway between the first and second battens from the top of the sail. See the Logo Drawing at the end of this file. a. Lay the sail out as flat as possible. b. Smooth the “flow” in and near the foot up into the body of the sail. It may help to introduce a large wrinkle in the jib. c. Place a straight edge from the tack to the clew. d. Measure the maximum distance at 90 degrees from the straight edge to the sail edge. If the sail edge curves up, just hold it down. 2. The tack and clew are the points where the sides of the sail, if extended, would intersect. The head is defined as the end of the fabric for both the luff and leech measurements. Note, there is also a limitation on the maximum width of the head plus the maximum distance from the front of the luff sleeve to the front of the main body of the sail. See the jib drawing at the end of this file for details. 3. No battens are allowed in the jib. 4. Viewing windows are allowed. Additionally, one or two small windows shall be allowed for telltale viewing. The shape is optional, but each telltale window shall fit within a 10” diameter circle. 5. The leech shall be straight or concave. Convex leeches are illegal. 1. The spinnaker shall be a symmetrical, three-cornered sail. The sail shall have no reinforcing patches other than at the head, clews, and retractor tab or tabs. Head to clew - 16’ 0”. Clew to center of foot - 5’ 0”. Width at the mid-girth/2 - 6’ 0”. a. Fold the sail in half (left to right) from the head to the center of the foot so that the clews coincide. The three corners of the half sail so formed shall then be pulled out hand taut and held in position. Measure the Head to Clew dimension. Measure the Clew to Center of Foot dimension. b. Fold the head onto the clews and smooth the sail into the fold. Measure the Width at the Mid-girth/2 as a straight line. 3. Some consideration will be given for older spinnakers allowing for a deviation caused by stretched fabric. 4. Sail numbers are optional but recommended. They should be 10” minimum high in a contrasting color to the sail and placed in the upper third of the sail. 1. All sails shall be date stamped and signed by the Class Measurer or an Assistant Measurer. Sails dated and signed from a previous Championship Regatta do not require measurement unless the sails have been modified to increase any dimension since they were signed. 2. When completely dry, all sails shall be stretched by hand sufficiently to remove wrinkles adjacent to the measurement being taken. 1. 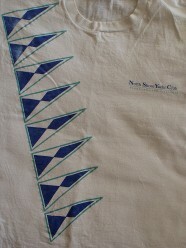 The mainsail shall be made of Dacron woven cloth with a manufacturer’s published finished weight of no less than 3.8 oz. per sailmakers yard (36” x 28.5”). 2. The jib shall be made of either Dacron woven cloth or Polyester Laminate (Mylar) material with a manufacturer’s published finished weight of no less than 3.8 oz. per sailmakers yard. 3. The spinnaker shall be made of nylon cloth having a manufacturer's published finished weight no less than 0.80 oz/sailmakers yard.